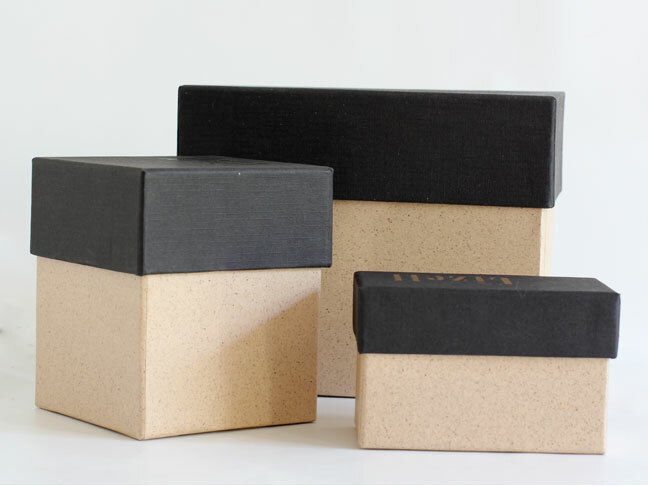 An empty shoe boxes or any box that has a separate lid is perfect for stacking and storing small items around your home. 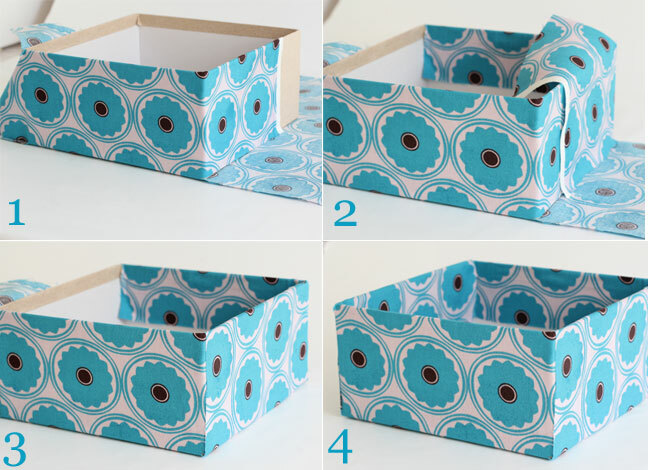 Covering boxes with leftover scraps of fabric or wallpaper from other decorating projects is an easy DIY that makes your storage part of your decor. Don’t have fabric scraps around the house? 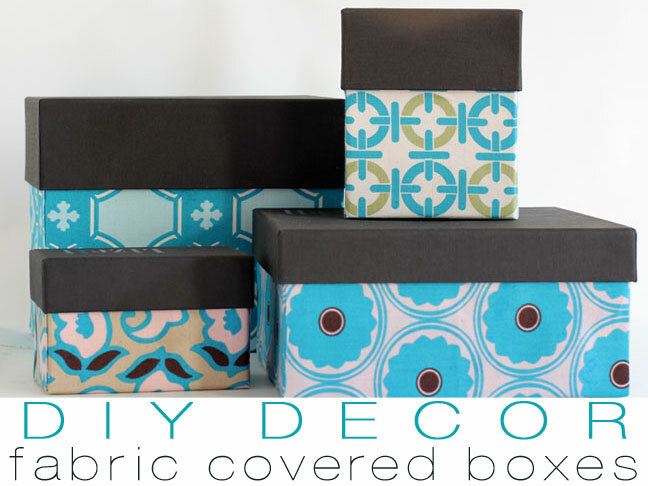 I used Fat Quarter fabrics to cover these DIY fabric storage boxes; they are pre-cuts of fabric that measure about 18-inches by 21-inches. The designs on the boxes below are from designer, Annette Tatum. Imagine Fabrics also has a nice selection. Step 1: Prepare your boxes with matching lids. Step 2: Measure the bottom and sides of the box. Mentally add 1-inch to each side and cut the fabric to this size. Step 3: Align a ruler along one long side of the box so it extends beyond the edge. Draw a pencil line along the inside edge of the ruler. After cutting this line, you will have a flap that will be the exact width of the box. Repeat on other corners. 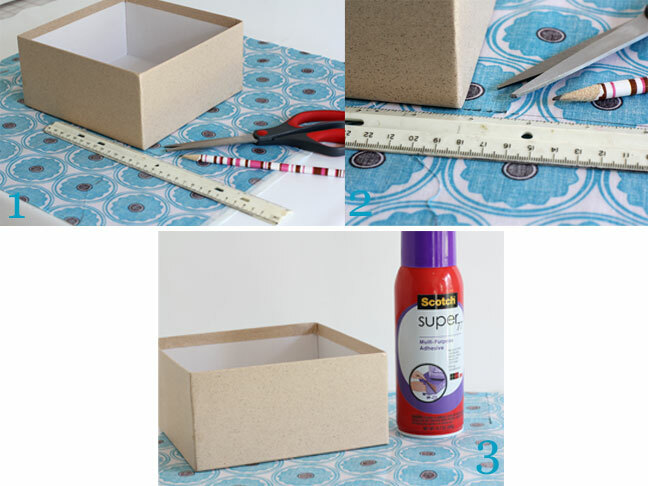 Step 4: Spray the bottom of the box with spray glue and let it get tacky. Place the box so the bottom of the box is on the center of the fabric, lined it up with the pencil lines you made. Step 5: Bring one long side of fabric up and wrap excess around the short side of the box. Use scissors to cut a straight line from the edge of the fabric and into the corner. Tuck and adhere the fabric to the inside of the box (like in the image below). Step 6: Repeat on other long side. Step 7: After each side flap is adhered to the short end of the box, bring the end flap up and over the box (like in the image below). Step 8: Repeat on other short end of the box. Note: The lids on my boxes were all black and I decided not to cover them, but you can cover your lids with the same or coordinating fabric. The steps are the same for both bottom of the box and lid; simply repeat the above steps to cover the lids. Optional: If the cut edges on the end flaps of fabric are fraying, simply dab some white glue along the cut edge of the fabric. It will dry clear and stop fraying. Want more Home Decor ideas? 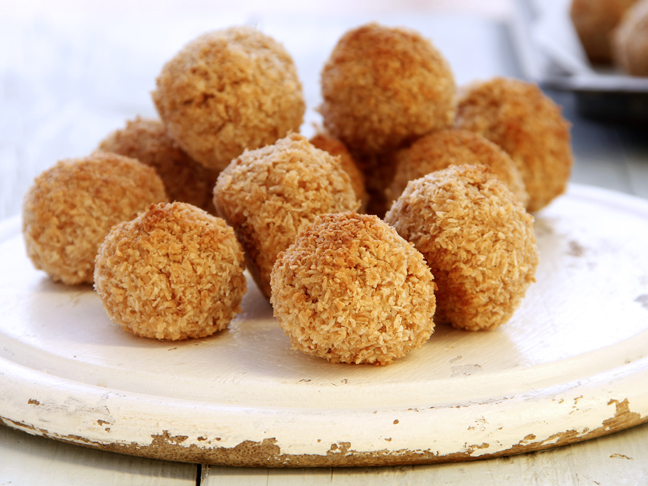 Diane Henkler blogs at In My Own Style.